I'm really happy today to have the every lovely Katy Moran return to the blog to celebrate the publication of her new book, The Hidden Princess. 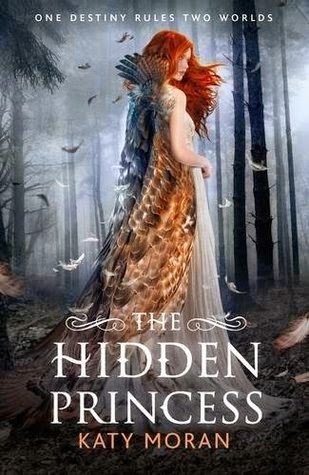 The Hidden Princess is the sequel to Hidden Among Us which I read and reviewed last year. If I can tell you one thing about these two books it's that Katy Moran knows how to write an exciting story! I'm reading The Hidden Princess at the moment and I constantly feel at the edge of my seat waiting as the anticipation and excitement just builds up page after page. It's good stuff. Gorgeous, immortal and just a little bit sinister: how could you not love elves? 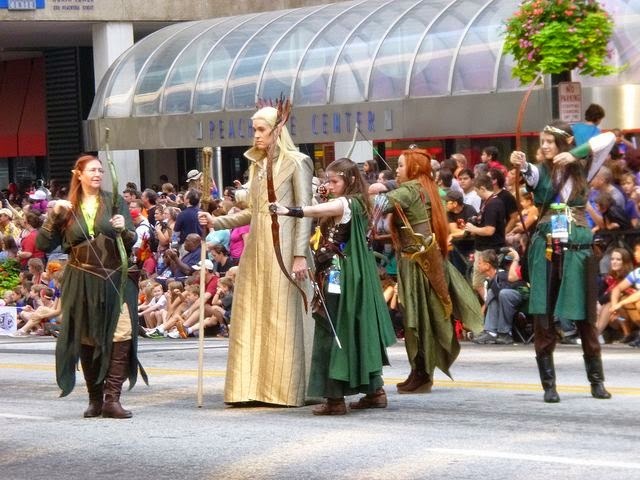 I can see why these guys dressing up for the Dragon Con in Georgia want to be elves. I've always loved them and secretly would like to be one. What re-awoke my childhood fascination with creatures like this, though, was discovering a weakness for Orlando Bloom as Legolas at around the same time I was studying Anglo-Saxon archaeology and culture at university. I was up to my neck in the examination of post-holes and tiny cloth fragments, deciphering the oddly familiar rhythms of Old English poetry. I didn't expect to look up one day and encounter a tall and beautiful stranger who made even Legolas look a little bit meh – but that’s exactly what did happen in my seminar one morning. We were translating and analyzing a poem written about a thousand years ago, Judith – the heroine saves her people by beheading Holofernes, an enemy general. But not only is Judith a fearless assassin, she is also described as “aelfscinu”. It means elf-shining, our tutor explained. A small but distinct physical shock jolted through me, as if I’d just touched an electric fence. In the back of my mind, the place where I see my books playing out like a film, there he was: a cloaked figure with wild red hair and the kind of face you can’t stop looking at. He became Larkspur in Hidden Among Us and The Hidden Princess, an immortal creature we all recognize, even if we’re not sure where from. It’s true that only a small fraction of the population back when Judith was written down could read or write, and an even smaller fraction of what they did write has survived for us to read now, so it could be that “elf-shining” was an incredibly artistic turn of phrase that would never normally have been used in everyday conversation, but in my seminar that morning, just for a second, I knew that we have a collective folk memory of another species – tall and uncannily attractive – with often indecipherable motives. I knew that once these creatures had lived alongside us before retreating – perhaps pursued – to darker, more hidden places. Then I told myself not to be such an idiot. 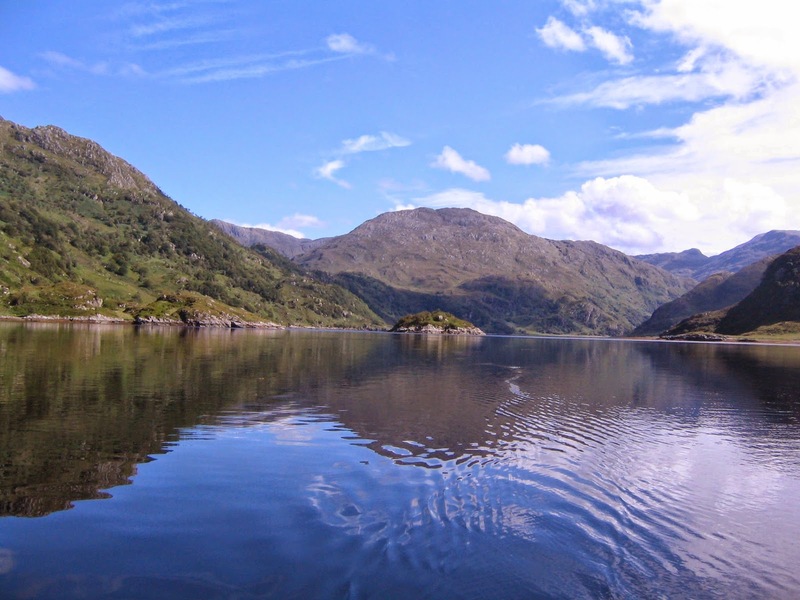 I’ll be more sensible about it: a thousand years ago there were still true wild places – forests, moorland – just a few steps beyond the safety of your own village where you probably lived in a communal hall, never more than a few paces away from people you’d known your entire life. It’s not a huge leap of logic to connect shining elvish creatures who don’t necessarily mean well to the beauty and danger of the world beyond the safety of your own hall and fields, and I like to think that in an older time, a wilder time, we believed with such certainty in beautiful immortal creatures like this that that we gave their name to those of our own kind who were out of the ordinary, those who stood out from the crowd and were perhaps to be feared. The Judith poet was writing a tale grown from a new religion, Christianity. He or she could have chosen to describe this brave and dangerous Judith in more angelic terms. But instead the poet gave her a quality I like to think ordinary people then would have understood immediately: Judith isn't one hundred per cent angelic. She’s a killer, but she is also elf-shining, like those creatures who lived in the wild untamed spaces beyond the homestead: beautiful, and more than a little bit dangerous. Irresistible, in other words, just like I wanted the Hidden to be.